After more than 5 years over the efficient M6, Ozone has finally released the Mantra 7 with an aspect ratio of 6.5 flat. I flew this glider from 92 to 95 all up. I found that its best to fly it at top weight 94,95 in overall conditions. it is super efficient at that load even in weak thermals. And it needs to be loaded when conditions are strong in order to have better authority under it. Launching the M7 is very easy without any delays and with a strong breeze, a dab on the brakes is needed to stop the surge. The take off is immediate. 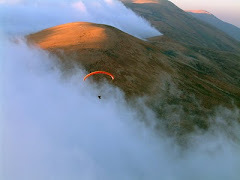 I flew in different air from turbulent and punchy thermals to soft and tricky ones. The brake travel on the M7 is slightly longer than the M6 for the same load, but the authority on the brakes and the turning ability are much better on the M7 with better thermal coring. The feel under the M7 is more tamed than the M6 in all aspects. There are no yaw movements at all. The roll is present but really tame for a D. The pitch movements are stable, pretty moderate for a D and the overall feel under it looks like Delta 3 or an Alpina 3 with steroids. It’s for sure more demanding to fly than the D3 or A3, as sometimes it surges forward in strong air which requires a slightly higher level for control, but nothing alarming for a regular D pilot. 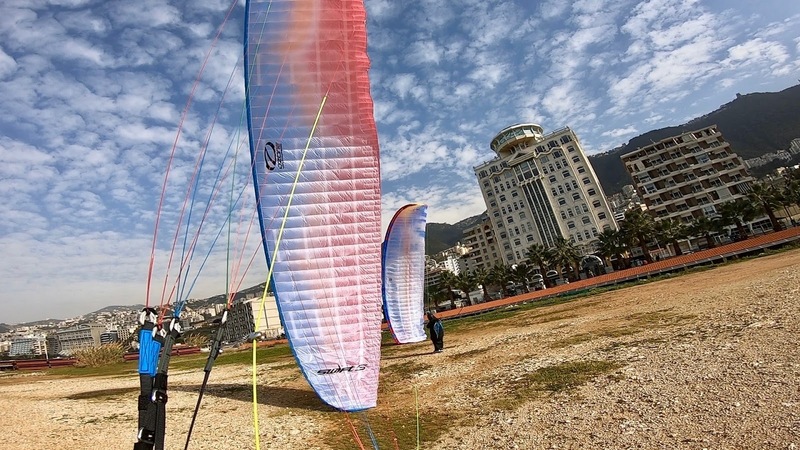 It is less demanding than the M6 as the Mantra 7 is a much more compact and homogenous wing. 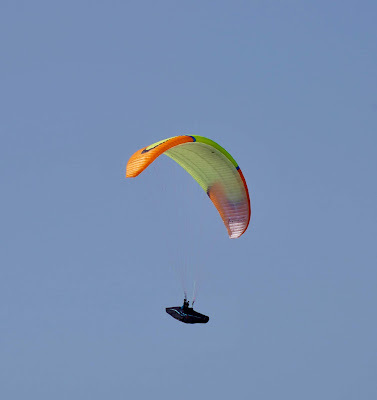 The overall feel and comfortable behavior are present and reminded me of all the Ozone latest generation gliders. (Rush5,Swift5,Delta 3…etc…) The Mantra 7 has the same genes with a higher step of workload over their C class with a D rating. Saying that I could sense that sometimes in turbulent and strong air the energy inside the mantra 7 needs a good D pilot to tame it, as the authority on the brakes will be slightly diminished and needs a bit longer application to settle it and keep the loaded M7 overhead. The pressure on the brakes is moderate and quite similar to the Delta 3 ones. 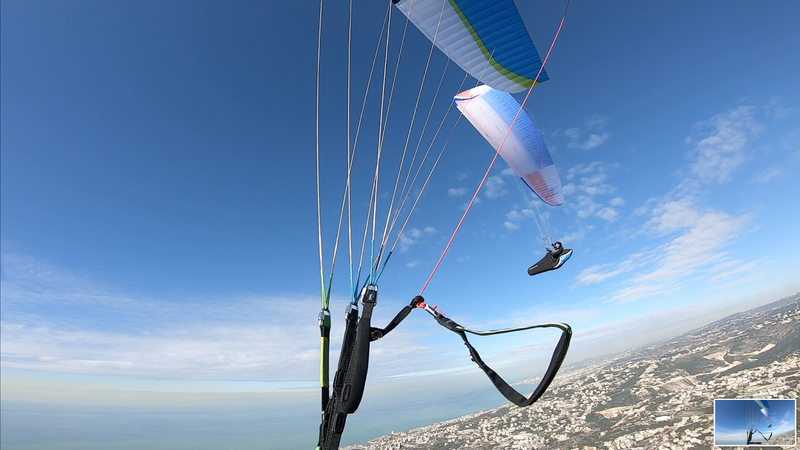 The Mantra 7 is an agile D glider, with an efficient brake authority. If I want to place it exactly, I could say that a little bit tighter turns could be made on the Delta 3. But I was completely satisfied with its turning ability. The climb rate in weak conditions is very good on the Mantra 7 even loaded. The overall feel of a dampened wing in weak stuff always worries me, as I need to sense the little updrafts. On the M7 those movements in weak thermals are similar to the Delta 3 feel, but the M7 floats really well! Next, to a Cayenne 5 M which has an excellent climb, I could be very competitive on the M7 and the efficient climb was clear and rewarding. In strong air and big thermals, is the Mantra 7 playground. In headwind conditions, and in strong valley breeze, the Mantra 7 excels as it showed me a much better efficiency than the M6. 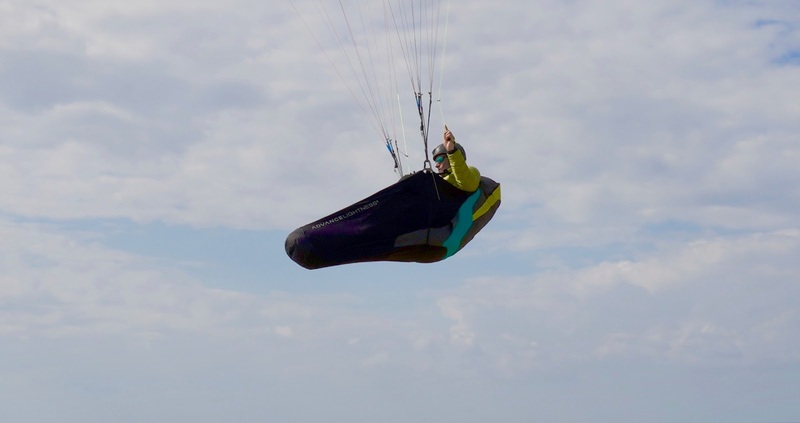 The Mantra 7 surfs the air forward like a true competition “D” glider. Racing over ridges with the Mantra 7 will be very rewarding! The speed system is easy to push with moderate pressure but unfortunately, the top speed is only ’around’ +13 km/h over trim. 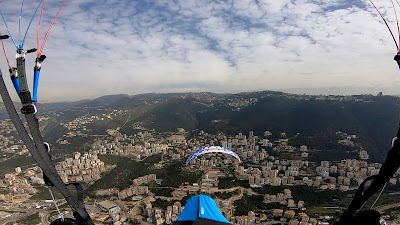 Gliding next to my friend on a Cayenne 5 M loaded at the top size at top speed, showed me the same top speed as my Mantra 7 SM at 95 all up. The glide of the Mantra 7 SM at top speed is much better than the M6 glide angle, and it has ‘nearly’ the same glide as a Zeno S size if they stayed at the Mantra 7 top speed. 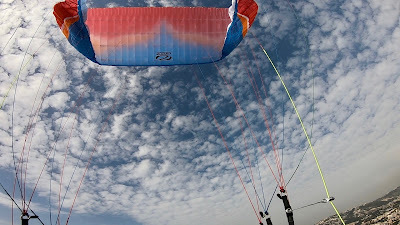 The Zeno S size at 88 was at the half bar, while I was on the full bar on the Mantra 7 with a very, very close glide angle with a better float ability in lift lines for the Zeno. The small differences will only appear in competitions over long transitions. 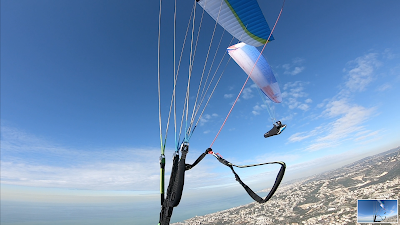 For sure the top speed on the Mantra 7 is fully usable in turbulence while using the rear risers pitch control. The pitch control on the Mantra 7 is a nice device to keep the glide angle leveled when gliding at speed in turbulent air. The Steering on the Mantra 7 is not as efficient as on the 2 liners Zeno, but it’s the most efficient on any C, or D glider I have already tested…I had some long glides at full speed and the efficient C steering was keeping my foot on the pedals. A super beautiful and efficient device! On my X-rated 6, the riser control is quite easy to reach. I have heard that they were too high, but not in my case and I think it depends on the harness hanging points. I found them quite reachable as you will see later in the movie. 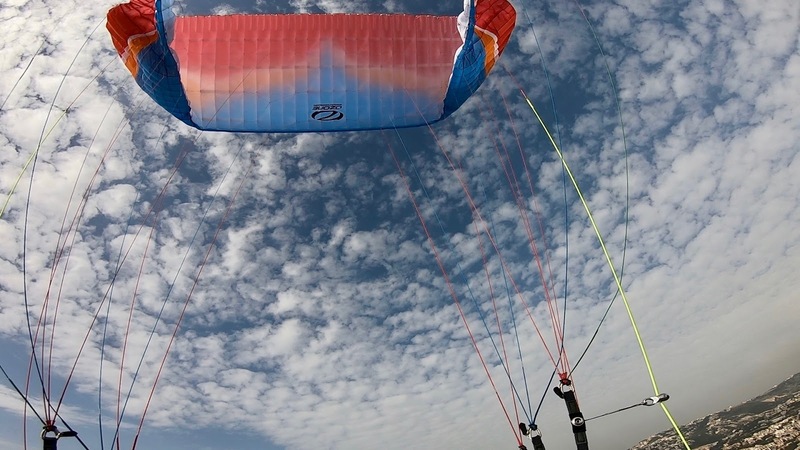 The Mantra 7 can be slowed down to top land on a tiny spot! 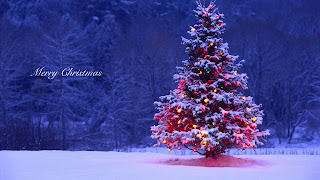 Very nice in that matter! The wing overs can be done quickly very high. The energy inside the Mantra 7 is impressive! Small ears are little stable but sometimes they need to open. Pulling slightly more outside A riser will lead to unstable ears. The B3 are now a bit high to reach :-). I could get max 20 cm down with hard pressure, but no results to get some decent B ears. 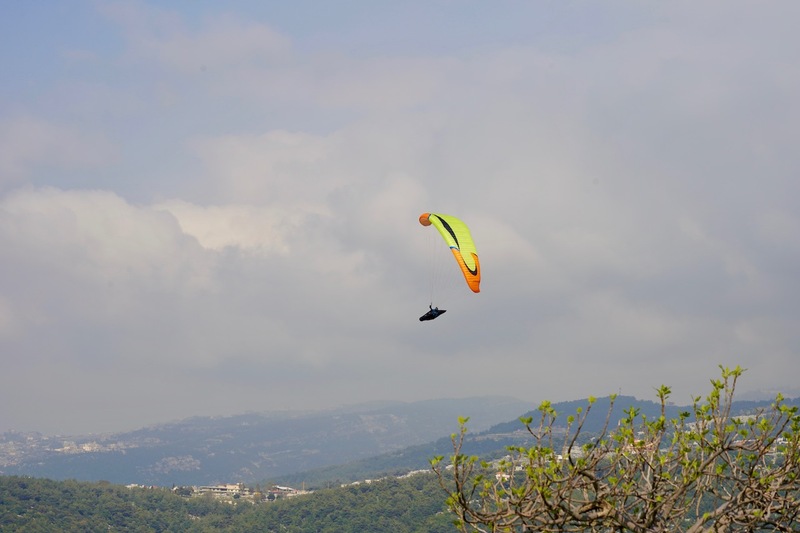 For a D glider, Mantra 7 is easy to fly, comfortable, and delivers top gliding and climbing performance. Probably the top speed should be slightly faster by 3-4 km/h, and I was hoping for stable and efficient big ears. Hopefully on the L M 7! The combination of accessibility/performance has not yet been reached on a D glider before. The Maestro 21 75-95 arrived. It has 2 lines per side on the A’s, 3 on the B’s 2 on the C’s. Very minimalistic, thin line configuration. There are lots of cells, and looking at it reminds me of the Phantom. All that package scream for performance. The finish details and construction are excellent ! 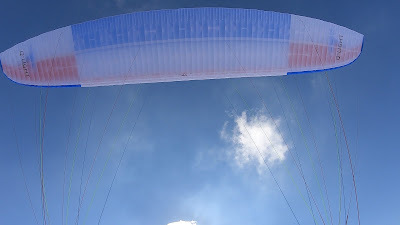 In my past testing, i learned that gliders that has fewer lines and especially 2 lines per side, are likely to be flown slightly on the far end of their weight range in order to put a load on all the structure and keep it well homogenous in rough air. I found out that the sweet spot in overall conditions of the Maestro 21 is around 92, 93 all up. In moderate conditions, flying it at 90 or slightly below could be quite efficient also. At 93 all up with an X-rated 6 harness, the launching of the Maestro 21 is super easy and well behaved, without any forward surge or hanging back. After being airborne i immediately felt and understood the DNA inside this Maestro ! Let’s begin with the brake pressure that feels ‘perfect’. Not hard at all, nor too light ! For my personal feel, its just ‘perfect’ The response on the brakes are immediate ! i could steer the Maestro inside the core with 10 cm of travel in a linear brake response especially for a B !! 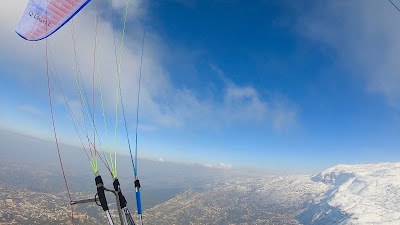 The Maestro with its short brake travel, reacts immediately and carve inside the thermals in a tight radius, with a high degree of precision, that is rare to find on a high B glider ! Pure pleasure for the pros !! Going lower on the brakes is forgiving, but it’s not needed while coring, as around 15 cm max will let you core the meanest of thermals ! I also flew with a friend on the excellent Swift 5 MS, *my reference* for the B cat, (same size) and exactly same load ! (93) as the Maestro 21. After 4 hours of extensive flying, with the whole group, i can flawlessly confirm the excellent climbing abilities of the Maestro 21 ! 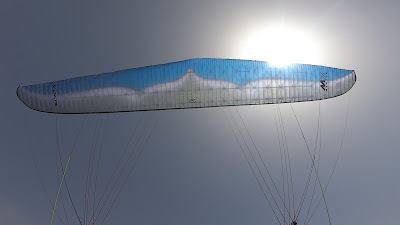 This glider behaves and deliver exactly like a competition glider with D certificate in its climbing properties in strong air as it converts thermals into efficient lift. In very weak conditions, the swift 5 has the edge in float ability. The Maestro surges forward in a good climb, without any pitch back at all. I mean it moves forward very quickly in climbing mode and coring the well built thermal. In windy and challenging conditions or facing the valley breeze, the Maestro will deliver good climbing when encountering strong thermals ! Those characteristics are rare to be found on a B glider ! Letting it fly forward is super rewarding while climbing. 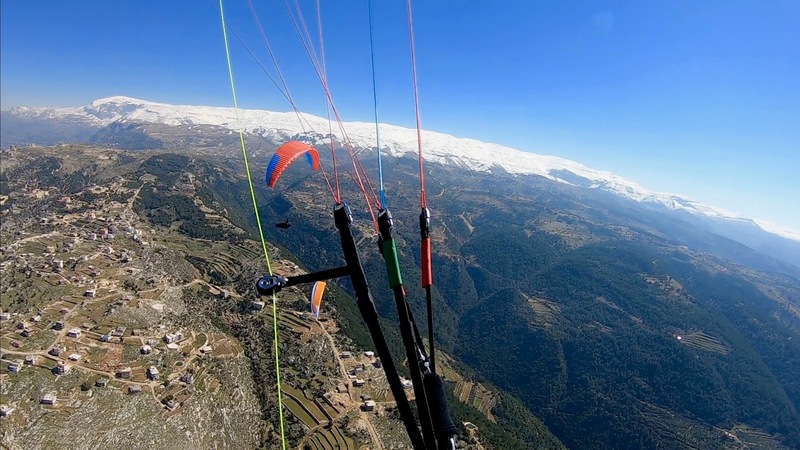 I can confirm that it climbs very close “to say the least and keep you cool… :-) “ as the higher certified gliders in strong thermals. I will comment later on accessibility, but i have to mention that keeping it flying is very rewarding, but swift and fine controls on the brakes are needed to keep it leveled. Just like flying some high rated gliders. 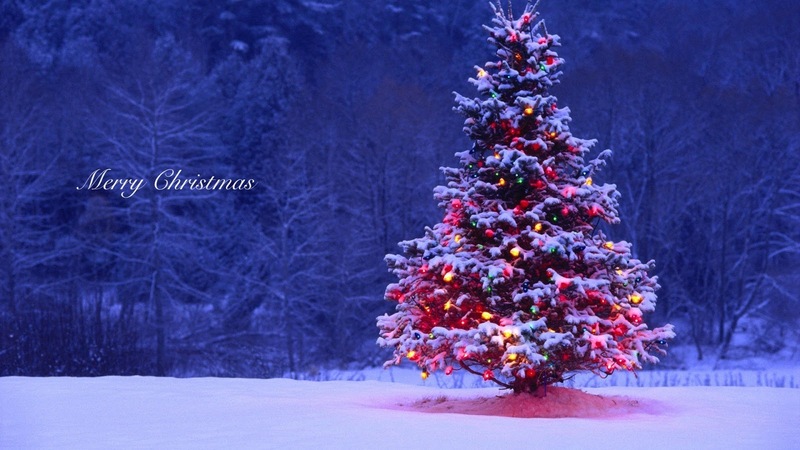 A delight ! Now comes the gliding part. I have to be clear that the top three B’s for 2019, have a very close gliding power as the C’s. 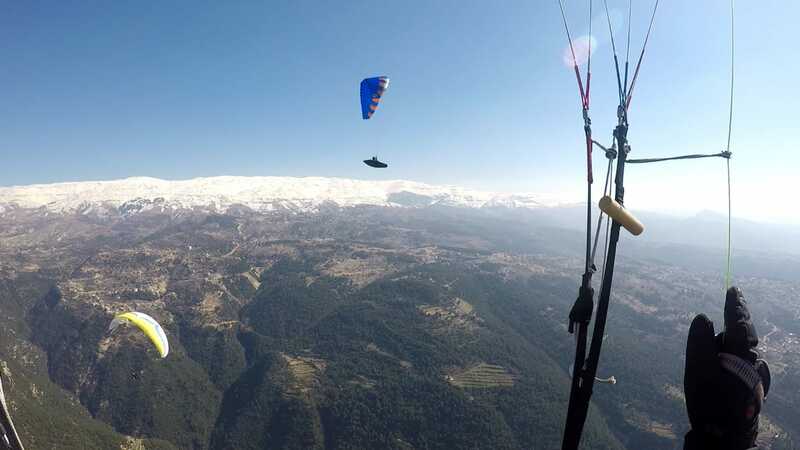 For example, gliding with the Swift 5 against an Artik 5 showed me that the only difference is finding the next thermal !! 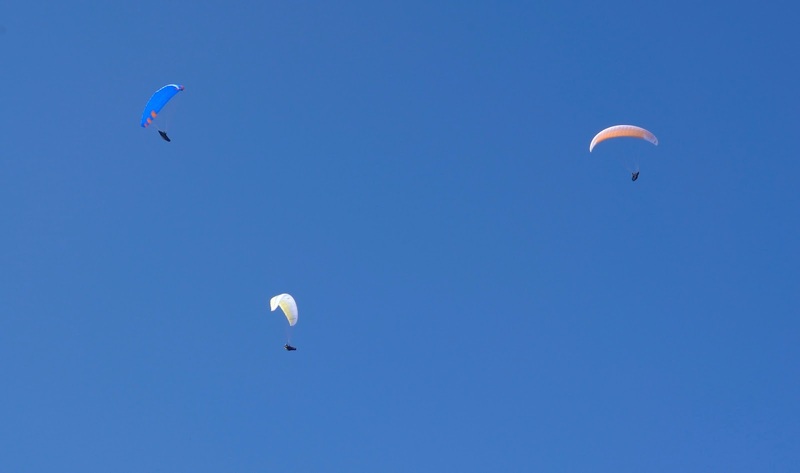 Even in difficult conditions, flying either glider, a pilot can only make a difference, with the extra 2 km on the top end of a C and the feel of a higher aspect ratio glider which also helps in marginal conditions. Doing some long glides with the Maestro 21 at trim and at full bar showed me a super competitive glide angle similar to the best reference B, putting the Maestro on the top regarding gliding power. It’s gliding in moving air and difficult conditions that the Maestro could be quite rewarding. Now comes the accessibility part. The Maestro is definitely ‘not’ your first B glider. 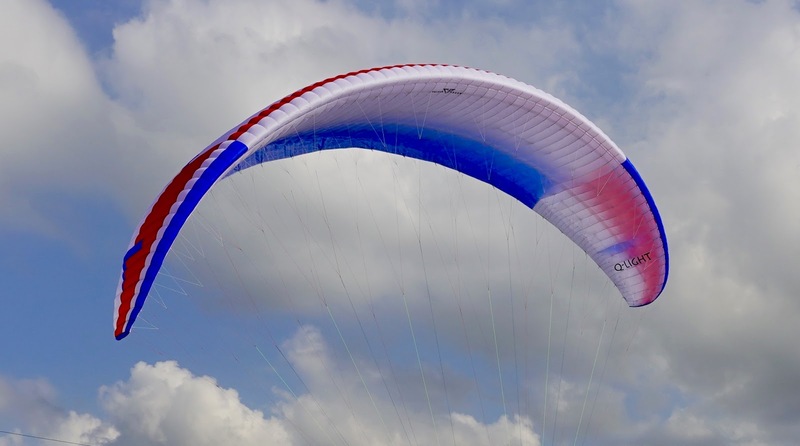 Not even after one small season on your first low B glider… The Maestro has some super fine qualities, and delivers impressive and valuable information for the keen pilot. It takes an experienced pilot to appreciate it, and to use it at its full potential. Talking for the B category, the Maestro is like a Samurai sword if you know what i mean. It can cut swiftly and cleanly, if you seek it or know how to use it. Pilots flying some C’s and even D’s wanting a great weapon for XC with B certification, will cherish the Maestro feel and qualities. 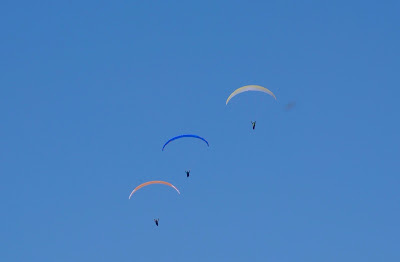 Pilots flying high B gliders for a season, will find in the B certified Maestro, the educative feedback that will allow them to understand and fly later higher rated gliders. I also flew the Maestro at 89 all up. In weak conditions, the Swift 5 still have an edge. In strong air, the Maestro climbs well even at that load as i said earlier, but i felt that at 93…94 could be quite rewarding in strong and heavy turbulence. Loading it up is a good option in alpine conditions. Big ears are stable, very efficient as only 1 line is left on the A’s, and they open without pilot intervention. Wing overs are quickly very high. The Maestro has good energy, and the structure if well loaded is compact and homogenous. Full speed is around 14 km/h over trim taken at 1000 ASL. Trim speed is slightly faster than to the Rush 5, Swift 5. Top speed is around 2 km/h more than the Swift 5 similarly loaded. Conclusion: The best impressions you get is immediately after landing. Right ? This is one of the fewest times, I enjoy test flying a B glider. It’s not like driving a 8 cylinder family car. It’s like driving an “everyday” Sports car ! Comfortable enough but pleasurable to drive. Today’s top high B gliders delivers impressive performance, and it’s a blessing for many pilots to get those performances for free…But some, commented getting bored when flying B gliders, probably because of their very comfortable and dampening behavior on all axes and sometimes lesser brake authority. It’s not the case with the Maestro that responds swiftly and precisely to every input. Pilots who feels too much dampening under a certain glider or seek more sporty feel, will eventually seeks the higher classes. Every pilot has a different level of experience, and totally different taste regarding gliders. The Maestro has a complete package of top overall performance, agile feel of a dynamic but “balanced” high B glider. For those flying qualities, test flying it is a must. I flew the Buzz Z6 75-95 at 92 all up. The launch behavior is better than the Buzz Z5. The glider does not pitch forward on take off. First turn felt a mellower Buzz. This version seems easier to manage than the Z5. The climb rate in weak and strong is very good. Climbing next to a Rush 5 shows me a very competitive climbing behavior. The agility is good for the low B category. Overall it seems more friendly user with less movements inside the thermals than the Z5. Doing some glides in moving air, showed me that the glide angle is of course not similar to the Rush 5..but still competitive enough for the low B category. ears are stable, top speed is fully usable. 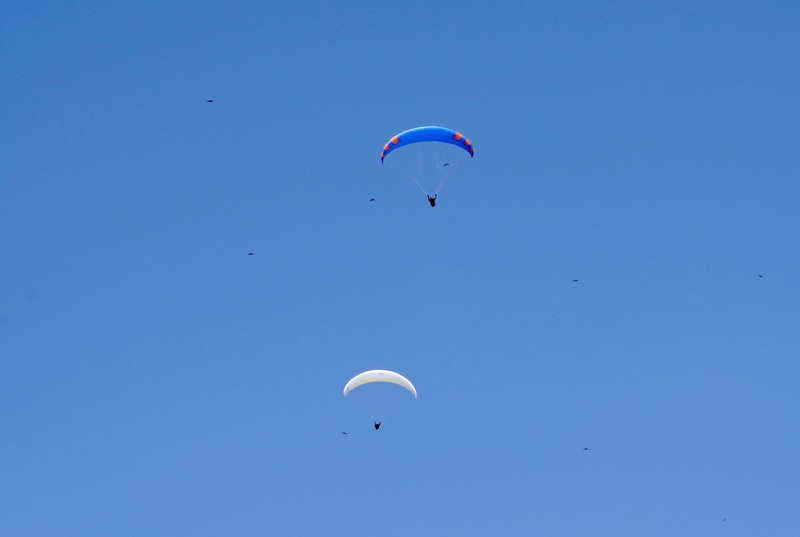 The glide angle at full speed seems more efficient than the Z5. At full speed the glide remain quite interesting. Conclusion: A stable, mellow, easy to fly low B glider for the majority of low airtime pilots. More than enough glide and climb for that category. The Z6 is a more ‘friendly user’ glider than the Z5 with the glide at speed improved. Taking off is super easy with the light cloth. First turn showed a very agile glider, with swift, direct handling. If i want to compare it with my new reference, the Swift 5 S, i can say it has a slightly more agile feel in turns. Overall, very agile and pleasure to steer. The brake pressure are similar to the Swift 5. The climbing properties, in weak or strong, with a Swift 5 S fully loaded for both, i can sense that the Swift 5 climbs are a step higher. Doing some glides with my reference glider, showed a higher trim speed for the Riot by nearly 2km/h ! So the Riot is faster at trim. At full bar, they have similar top speed. The glide angle is nice for the Riot, and its loosing slightly to the Swift 5, which remain at the top of the B category. At full bar also after many glides of 4 to 5 km run, the Riot S comes slightly around 10 meter lower. Not really important, and still good gliding properties. Overall the Riot has a nice glide angle in the B category. 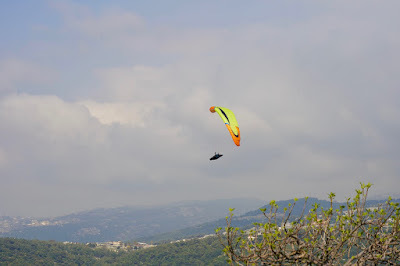 Conclusion: Light, fast at trim, agile, pleasurable to fly, good glide performance. 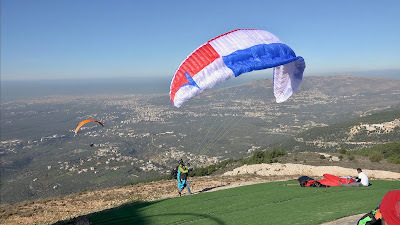 That’s what describes best the BGD Riot S.
I already flew the Lightness2 in M size. My size is 1.81 and my weight is 73 kg. Both the Lightness 2 and 3 suit my size perfectly. The Lightness 3 offers a superb back comfort, as much as the Lightness 2 did. It’s a very comfortable harness for supporting the back and the legs are naturally supported. The Lightness 3 is indeed one of the most comfortable seatless harnesses for back and hip comfort. The finishing details of this harness is second to none. The very good quality finish is very clear to one’s eye. I also sensed that for my shape, the harness has a snug fit and feels also quite robust if you look at the attachment points versus a GTO Light for example. The straps looks slightly wider and feels quite close to a normal harness in that matter. The Lightness3 has a left channel for a relief tube. A camel back pocket on the rear. The pocket under the seat would fit a 5 L ballast. The back compartment is a bit small. I found out that only a glider bag can fit inside. All the strap adjustment can be reached very easily and swiftly modified while flying, unlike the GTO light or the Forza for example. The rescue compartment feels a bit small also. I think for the M size, a light (±1kg) rescue for 100 KG max would fit perfectly. I tried to open the rescue 2 times while hanging the harness in my room, and when pulling the handle horizontally (sideways) it needs a slight pressure, more than the GTO light one. The rescue compartment doesn’t seem very big. But in both cases the rescue was out immediately with a snap feel. 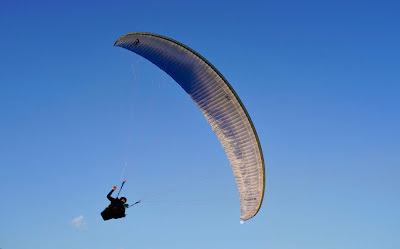 I flew the Lightness 3 with a Q-light S size at max weight. 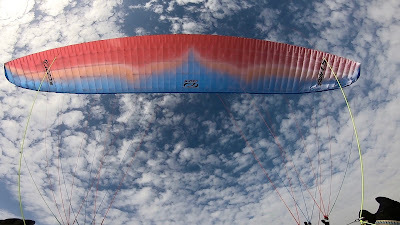 I also flew a Supair Delight 3 M with seat board on the same glider. The most comfortable one in turbulent air was the Delight3, and followed very closely by the Lightness 3, and +50 % more feedback was delivered by the Lightness 2.
when it comes to be thrown around in turbulent air, the difference between the Lightness 2 and 3 are very clear. When the chest strap of the Lightness 3 is a bit more open, then the information about the air is superb ! The Lightness 3 delivers just the necessary amount of feedback, without any useless movements that were found earlier on the Impress 3. I also found an interesting efficient option on the Lightness 3 regarding the chest strap. In turbulent and strong air, when closing the chest strap, the Lightness 3 locks you in a firm position and become a roll stable seatless harness. Of course all harnesses will be more stable when chest straps are closed, but the difference between open and closed are sometimes huge in one specific harness. The stability was felt more than any seatless harness i have tested ! So the Lightness 3 has a sensible chest strap adjustment efficiency for a wide choice and pilot taste. Now for the picky pilots (like me ) and performance oriented ones, i could say that the Delight 3 (seat harness) with a (chest open) can deliver quite a precise input for placing gliders with any pressure on any muscle of your lower body ! That option of putting yourself on a seat board and sensing every bits of air and efficiently reacting is only available on a seat board. For instance, The GTO light, Forza, Lightness2, Lightness3 can deliver the best back comfort versus a seat harness, and glider feedback, but will never let you react as fast and efficient as a seat board will, IMHO. Conclusion: Seat or no seat, is a matter of taste. The seatless harnesses like the Lightness3, offers exceptional back comfort for long flights, light with superb quality equipment ! The seat harness, delivers imminent body reaction, precise feedback and control you can induce to a high aspect ratio glider. For my personal feel, the Lightness 3 is indeed a superb piece of equipment which also holds all the required options for the pilots of today. Construction quality at its best, very high degree of back comfort, comfortable enough in turbulence, light to carry after long XC’s, and i think it looks quite robust for a light harness. This is only my opinion. Make your own ! Notes: In 2018-19, lots of manufacturers are delivering very nice gliders. 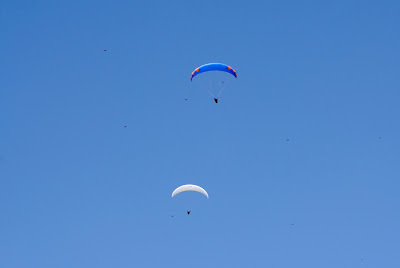 In the B category, it’s difficult sometimes to say which glider has a better glide or better climb as they are very close. At least among the top 5 of the category . I already test flew the Rush 5 in size S. The Swift 5 is the light version. The cloth used on the Swift 5 is really light ! The glider weights 3680 grams on my scale ! The Swift 5 launches without any effort even in nil wind. The Rush 5 heavy cloth needed a steady pull, but the swift 5 launches effortlessly. There are also many differences with the Rush 5 concerning agility, brake pressure and feel. The Swift 5 has a softer feel through the brakes, more precise, and linear. It is also more agile than the Rush 5 size S similarly loaded. Coring thermals is direct and a real pleasure. The turning radius could be done very tight. Flew the Swift 5 with the GTO light and then with the Delight 3. The GTO light delivers a super agile feel and great handling. The Delight 3 is more stable in roll, but the Swift 5 still feel quite agile in turns on it also ! As i already mentioned in my earlier writings, that the Rush 5 doesn’t have that super agility, but still very efficient in thermals. 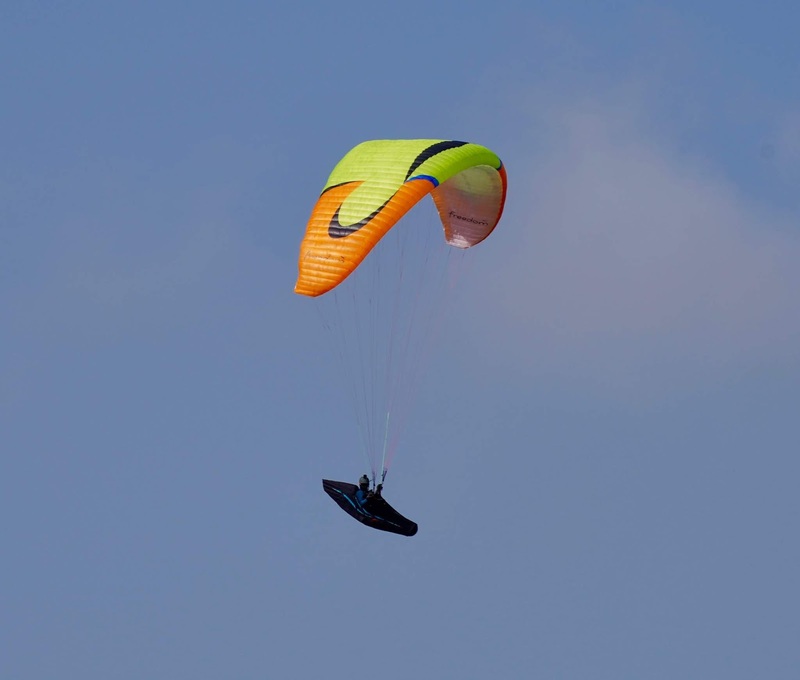 The Swift 5 is now an agile glider while it retains the excellent climb rate of the Rush 5. The efficiency in thermals are second to none ! In very weak stuff on the loaded S size at 84 all up, i could benefit from every little scrappy thermal. In strong thermals, the Swift 5 compensate the turbulent air, by a stable, well balanced glider behavior. All that leads to a quick climb, without any bad reactions of pitch, or dive and loosing height. Probably, the light fabric smoothen the reactions. That’s why, IMHO, the Swift 5 has a high efficiency in the air. 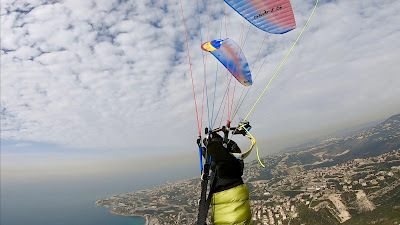 I flew and glided next to my reference 6.3 high-end ‘C’ gliders, and I was impressed by the excellent glide ratio of the Swift 5 even comparing them at half the speed range ! A marvel indeed ! 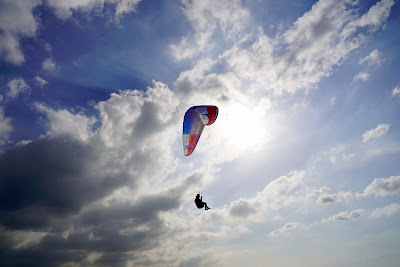 Like the Rush 5, the Swift 5 efficient glide in moving air seems extraordinary ! The Swift 5 floats and advances through the airmass with flawless efficiency. To put it into simple words, the Swift 5 self-automated movements through moving air, seems to glide very close to the class above ! For sure the top C class gliders will have that slight edge to dig through and move forward faster, like the Q-Light or the Delta 3. Comparing the Swift 5 to a top C is not fair, but i just want to make a point that those high B’s are super close and quite efficient in the hand of good pilots. and the decision for week end pilots to change for a C glider just to have ‘more performance’ is not always a good choice unless the pilots can extract those performances and wants more feel that a C can deliver. The trim speed though is not as fast, and could be slightly around 38 km/h. The top speed is 12 km/h over trim on the S size taken at 1000 ASL. The Swift 5 gives informations about what’s the air is doing more than the Rush 5. The Rush 5 feels more as a block and sometimes well dampened. The Swift feels more as a butterfly and needs slightly more active piloting in rough air. For a high B pilot, it’s easy to fly. Ears are stable, and reopen without input. Conclusion: This review was written after talking with three of my friends who also flew the Swift 5 ! Not because i wasn’t sure what to write, but in order to see their faces after landing and to listen to their interesting comments :-). They were all fascinated by what that glider was doing in the air. Some gliders deliver a complete package of handling, comfort, glide and climbing efficiency. The Swift 5 holds that package but in ‘premium’ ! Recently i made a podcast with Cloudbase Mayham, thanks to Gavin McClurg ! I missed to understand the last question, and responded hastily. I think it’s an important one about what should i do if i want to rewind my flying career and also an advise to new comers to the sport. Since i was pretty alone and new to the sport at that time, it was difficult to act differently. The best thing i did is that i kited my glider and played on the sea cliffs several hours every day, even when there was no wind to lift the glider. Paragliding is an easy sport to learn. 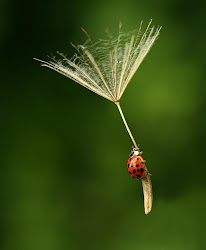 Its quite easy for a student to fly in the first days ! But that’s not the point and it’s not recommended if the pilot doesn’t know how to control his glider on the ground. 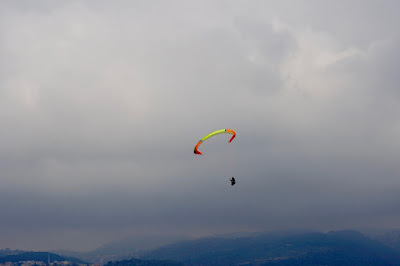 Any new comer must kite his glider for many hours in order to understand how it works. 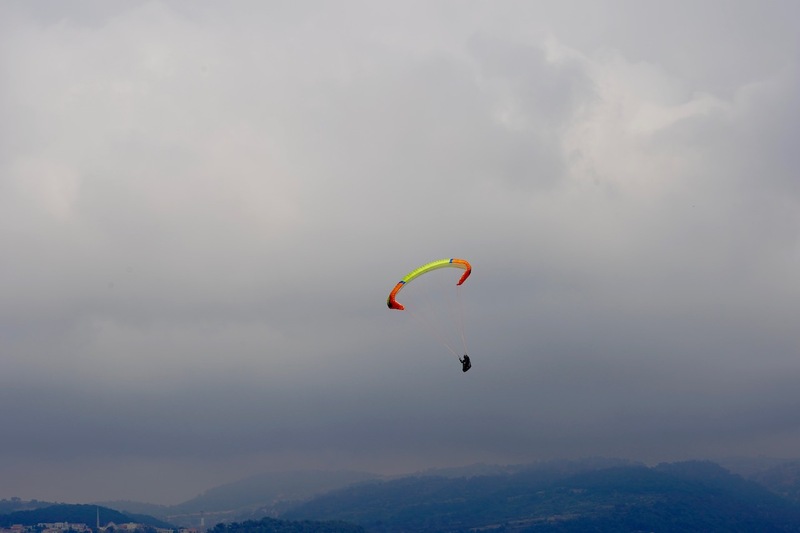 With a little bit of wind later, playing with the glider will never have to end. 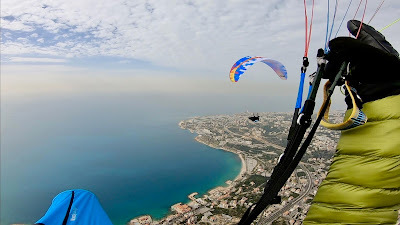 Even for me after 30 years, my best spot is a small cliff with the right wind, i would float weightlessly and fly just a few centimeters from the ground. Anyone taking the stairs down without looking carefully where to step, can fall with serious consequences. 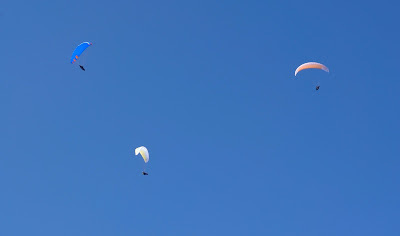 As paragliding is an easy sport to learn, there’s lots to understand before taking off into the sky. 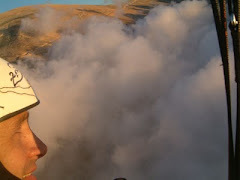 But once the teachings are understood by qualified instructors and also by serious passionate students, then flying will become safe, enjoyable, and the most beautiful dream you will ever have. 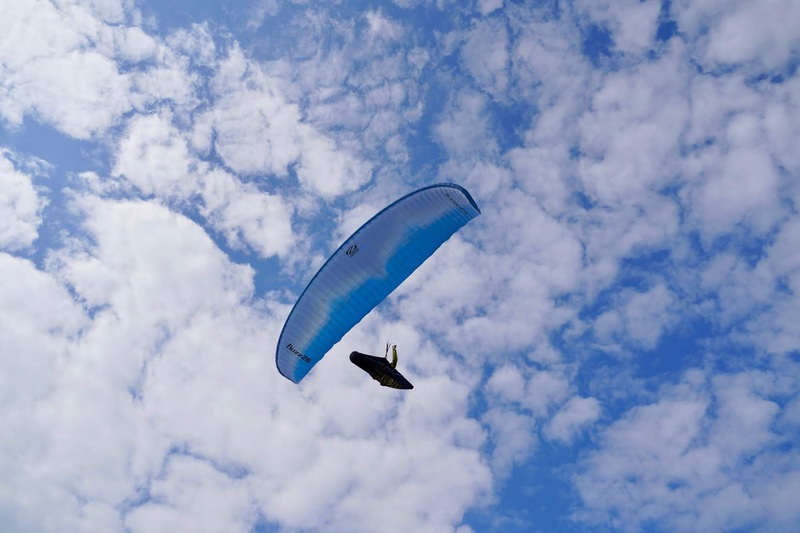 Low B gliders or gliders that has around 5 aspect ratio for 2019 which are marketed by their manufacturer as an easy intermediate B glider, will be mostly enough to begin your first XC, after your school glider. Even in the hands of good pilots, those cool B’s will deliver impressive and long cross country flights. So when to change a glider for a newcomer ? When you have mastered your ‘first’ glider in every condition for two seasons or for more than 100 hours with the use of bar in turbulent air with your foot controlling the pitch, plus going XC, then considering getting a slightly hotter B will be a logical evolution. No need to step further unless you do the same with your hot B. Then if the pilots wants more, a C certified glider will take you anywhere, not because it performs much better than your hot B. But because you will have the skills to fly it efficiently. Otherwise forget any C or D.
Any pilot stepping far from a beginner wing to a C will regress and loose interest in the sport. There are a few rare exceptions, but for the majority, it is better to move step by step. For an educated pilot who flies regularly, C and D gliders will deliver more what the air in doing. 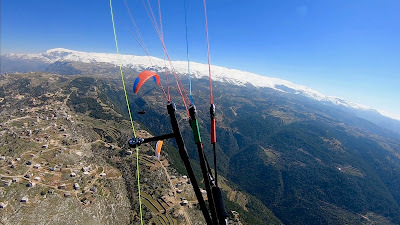 The feel on the brakes is different and the movements of the glider in the air allows a very good pilot to enjoy surfing the air catching every thermal and also to guide the glider efficiently into long cross country flights. 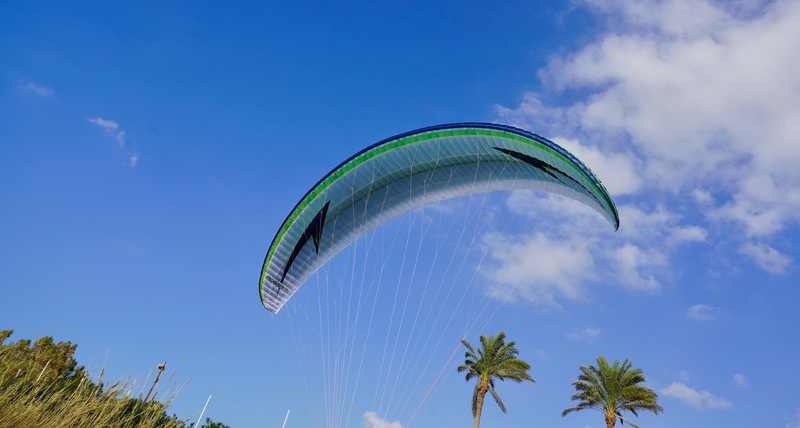 The Agera is Swing’s new C glider with RAST. 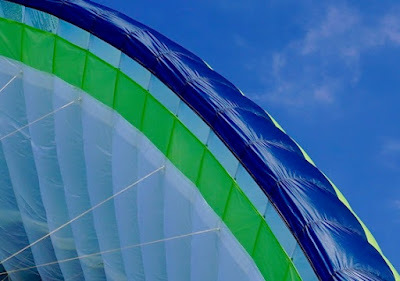 Taking off is quite easy, and i didn’t find any particular problem in inflation in nil wind. In strong windy take off, the Agera RS also inflates quite nice and stays easily above the pilots head. The brakes have medium to light pressure and the Agera turns with very little action on the brakes. The turning radius inside weak and strong thermals are fairly agile. It turns inside a core but stops in the middle and needs to re-power it by releasing the inside brake in order to give it more energy, then lower it again smoothly inside a small core in order to get a tight radius. The Agera RS tends to stop inside one complete tight turn. But i can say that it has a fair agility and needs to get used to. Inside a tight core, i tried to keep my inside brake low and tried to lower it slightly more to keep it on track like i tested the other C’s like the A5, Alpina 3, Volt 3. In that matter, the Agera RS doesn’t really accept lowering the brakes near the hips to crank it…It will go into a mild spin. Nothing alarming here…It’s easy to sense for a C pilot, and when releasing the brakes a bit, the glider flies smoothly. So Swing was very keen to announce that this glider is intended for high end C pilots in terms of piloting level. So i felt that the best way to turn it tight, when the glider stops inside a turn, is to give it more energy by releasing the brakes a bit and re-apply it smoothly with weight-shift. I made some glide comparisons with an Artik 5 which is a very good glider in that matter, and found out many times that the Agera RS has IMHO, the highest glide on a C ever seen. Indeed, the glide is simply amazing, with a trim speed that’s slightly faster than an Artik 5 fully loaded. I even tried some glides with an LM6 size SM and found out that the Agera RS plays in that class in terms of gliding in moving air. I also felt that when there’s turbulence and difficult windy conditions, that the Agera RS performs at it’s best. So when i let it fly ! the glide angle is superb for a C certified glider. I forgot to say that the Agera RS doesn’t seem to have a shark nose, and the leading edge looks similar to the Nyos RS, with more cells of course, and smaller openings. I also tested the climb rate in weak stuff. With a Delta 3 SM loaded art 91, and with an LM6 SM loaded at 95. In weak thermals, the Agera RS didn’t feel like a floater. It climbs ok thought, but those tiny bits of lift (-0.5 m/s) , were better smelled by the Delta 3, Artik 5, LM6. So i was hovering a bit more to find a slight steadier core to climb. In stronger cores, the Agera RS climbs really well. It has that power to dig through and climb. The speed system has moderate pressure and the top speed seems 12 km/h over trim. Racing a bit with half to full bar, the pressure on the C’s was very ,very light…And considering controlling it in turbulent air like a 2 liner is quite different. Flying the Zeno, a two liner for example, has immediate swift contact via pulling the rear riser, even in turbulent air. But of course, the Agera RS is not a two liner ! It needs a longer input and a bit more refined C pulling as the Agera RS will be slightly talkative at bar in turbulent air. It surely needs some hours to get use to it, especially to keep the glider from shooting forward in strong air if the pilot is only using the C risers control when going from half to full speed in turbulent air. Conclusion: For me the Agera RS properly loaded from 96 to 100 could be very efficient in Alpine racing. The Agera RS glides very well, and convert the bumps in an efficient way. 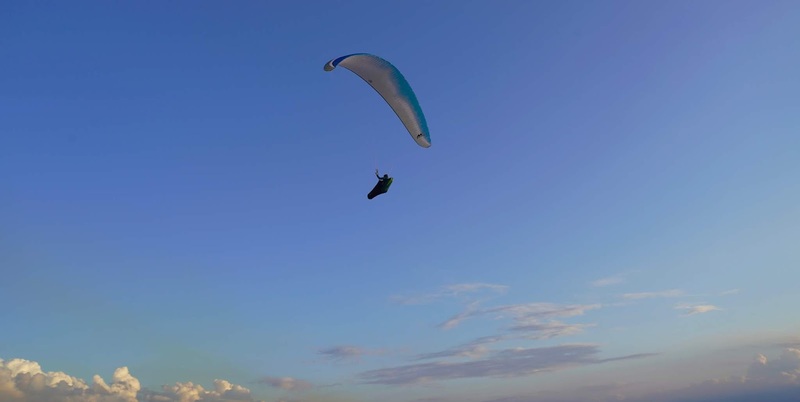 It’s also a comfortable glider to fly in active air. I mean the roll movements are dampened, and ressembles the Volt 3 ones. The glider pitch forward a bit in turbulent air especially at bar but nothing difficult for a regular C pilot. The pilot must be smooth on the handling and refine his feeling on the brake pressure when the cores are very small and when very tight turns are needed. Otherwise European conditions are far different from ours, with larger radius thermals ! Probably the RAST system could have gave me that comfort overall feel, like on the Nyos RS, but surely more pronounced on the Agera, but still smooth feedback from the surrounding air is well provided. I already have tested the Queen 2 MS in normal cloth. 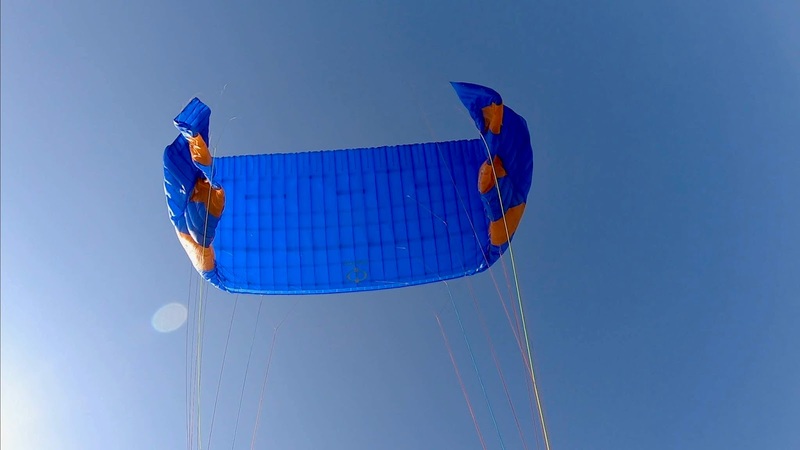 Here’s the Q-light 2 in size S.
Launching the Q-light, in light breeze need a slight pull. The light cloth helps a lot in keeping the glider overhead. 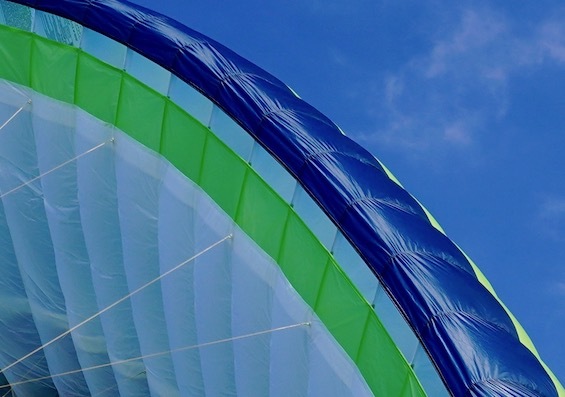 For a C pilot, even in the strong breeze, the Q-light is relatively easy to launch in tricky areas. I flew the Q-light Small (65-85) at 85 all up, with a Woody Valley GTO Light. In this test, I will compare the Q-light Small to the Alpina 3 Small. They both have the same weight range. I also flew the Artik 5 size 24 (75-95) at 95 all up next to the Q-light Small that was given to a friend who also gave me his feedback of that interesting glider. Each time a new glider is out, it’s weird to read tests that go toward “this is the best glider..” kind of talk…But sometimes they truly are quite exquisite! And test flying them will be a great joy. The brake pressure of the Q-light S at 85 all up is toward the light side. It resembles the Alpina 3 S ones at the same load. The brakes are precise and the Q-light is very agile! No matter what quality the thermal delivers, the Q-light can be steered inside the core quite efficiently. That’s a really cool feature in a glider that gives a swift, snappy feel through the brakes, and also a pleasurable and smooth one in turns! The brakes are to be used moderately as sometimes the Q-light S will dive quickly into a turn. Saying that flat turns are also doable and efficient even on a loaded Q-light S.
What impressed my friend and I on the Q-light S is its ability to cut through the air smoothly and very efficiently for a C! Doing some glides next to an Artik 5 24 loaded at the top, showed me many times that this small Q-light has an impressive surfing power into the airmass. 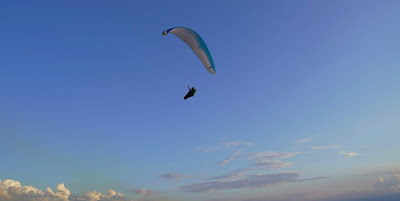 For pure gliding in moving air, I could easily confirm it’s efficiency for its amazing gliding properties that I could place high up in my C comparison table. The trim speed of the Q-light S at 85, is faster by 1 km/h than an Artik 5 24 loaded at 95. And also faster than an Alpina 3 S.
The Artik 5, 24 and the Alpina 3 S are both super fine gliders, but they have this very slight pitch when entering thermals and surfing the air as I already mentioned in my tests. 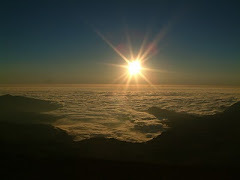 This wasn’t felt at all on the Q-Light S, as it was sliding through the airmass and moving forward with that fine quality to climb like stepping up on stairs. In my queen 2 MS test, I wrote that the Q2 climbs fast. The Q-Light S is also very similar. When catching a steady, well built thermal, the Q-Light S jumps upward like a spring, and it cores beautifully, responding to every pulled centimeter on the brakes. In very weak thermals, (0.2 m/s…0.5 m/s…) the Q-Light S is also efficient, like the Alpina 3 S. Probably the Artik 5 24 also loaded could have a slight edge probably be because of being a larger size. 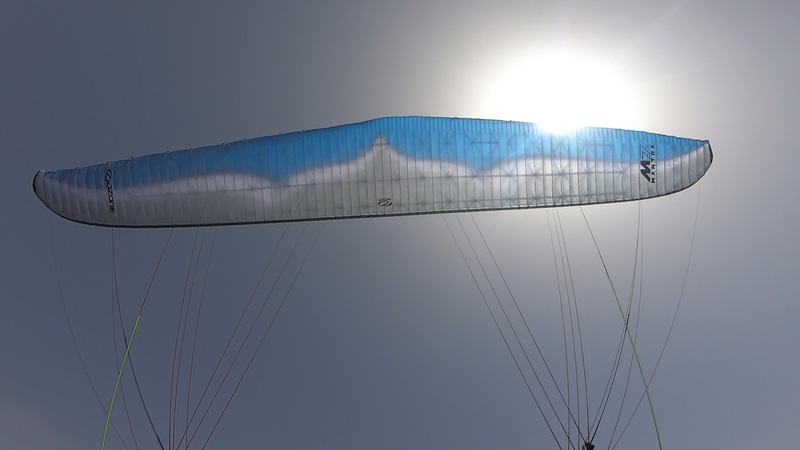 I didn’t have an Artik 5 22 to compare, but for me, the Q-Light S has already fulfilled beyond my expectations the excellent climb and glide for a C glider. The speed system is toward the light side, and the glide seems even more efficient after 5 km/h over trim. Controlling the Q-Light S with the C risers is quite efficient for a 3 liner. Ears are stable, sometimes they shake a bit. Smaller ones are more stable. They reopen quite fast. Conclusion: When the complete package of overall performance and especially pleasurable feel and handling and strongly present, it’s the heart that influences the writings. For me it was indeed rewarding, to test fly this Q-Light S! A must test fly if you are looking for a light companion for a hike and fly adventures or XC performance flying. And of course a very strong contender for the sports class competitions. This is only my opinion. Make your own! 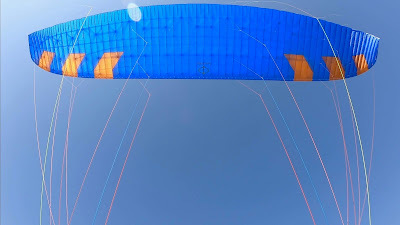 The XI is ADVANCE light high B glider for 2018. Launching the XI is effortless and at 86 all up, the glider stays overhead in a slight breeze. The take off is immediate . The pressure on the brakes are average to light. With a half wrap on the brakes the XI turns quite fast and it’s quite an agile glider to core very narrow thermals. The brake feel is linear and fairly precise. To compare this feel to a Mentor 5 XS(70-90), the XI brake pressure has a more ‘pilot connection’ feel and more linear response. The M5 XS reaction is direct and prompt. On the XI it’s also direct with more feel thought every pulled centimeter. Compared to a Rush 5 S, the brake pressure is slightly less, a little longer brake travel, but a more agile glider for the XI in thermals. The roll feel is more pronounced on the XI than the M5, with a glider that connect the pilot with informations through the airmass not really as the M5 which moves more as a block. Compared to a Rush 5 S (65-85 ) the XI transmits more what’s the air is doing with a more agile glider in thermals. The B comparison ‘chart’ is updated for small details if needed. Climb rate seems very nice even in weak stuff, and i was able to stay quite close to a Mentor 5 XS similarly loaded in the same thermals we encountered. I felt that loading the XI would still be efficient and quite rewarding to surf the airmass. The XI seems to cut through the airmass a bit less than the Iota 2, and that’s why i felt that when loaded it up, i got a better forward push. 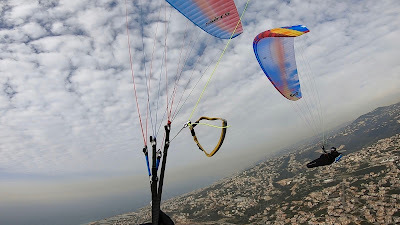 Going on some glides next to a Mentor 5 XS showed me that the XI are quite similar with a slight edge in surfing the air without loosing much in sinking air, at trim and at half bar for the XI. Comparing it to a Mentor 5 (light) XS, which is much different than the regular version in the way it bumps more into the airmass. 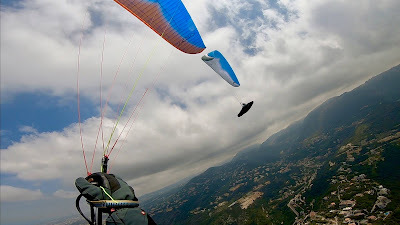 (i don’t know why…) I would possibly lean slightly toward the XI for it’s overall performance and glide through turbulent air if both ‘light’ gliders are similarly loaded. Pushing the speed bar will give a +12 km/h over trim at 1000 ASL, and the pressure is moderate and very usable. Ears are stable and reopen quickly without pilot intervention. Conclusion: For a light high performance B, the XI is a nice companion for travel, hike and fly, and XC. The overall performance is among the top B’s. Nice handling, pleasure feel in thermals, and a small packing volume.